After months of studying for the LSAT, it is common for students to spot LSAT issues everywhere. 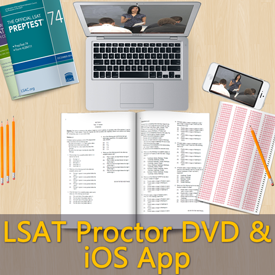 In fact, seeing life through the lens of the LSAT is a great way to reinforce what you have learned and a helpful way to study on-the-go. For example, consider the following problem that we wrote based on the current feud going on between AT&T and Verizon. In AT&T’s new national television commercial, actor Luke Wilson tries to set the record straight on AT&T’s wireless network. He implies that AT&T has superior 3G Smartphone coverage than Verizon does because AT&T covers 97% of all Americans, which is more than 300 million people. Do you know the correct answer? We encourage you to try this method of studying by trying to recognize faulty logic in real life and then phrasing the statement in the form of an LSAT question. Hilarious post; what makes this even funnier is that Luke played a law student in “Legally Blonde.” What happened to his career?